Do You Understand the Hydrocodone Side Effects? Hydrocodone is a semi-synthetic opiate painkiller medication synthesized from codeine, which is an alkaloid found in the opium poppy. The opiate medication is highly effective for treating moderate to severe pain, but even when used correctly can cause a range of unwanted hydrocodone side effects. However, when the drug is used for non-medical purposes, such as for recreational use or to get ‘high’, the risk of developing hydrocodone side effects increases. Abusing the prescription opiate painkiller medication increases the risk of developing more serious side effects. Drug abuse includes taking the medication for recreational purposes, taking larger doses than were prescribed, or taking medications prescribed for someone else. One of the more serious hydrocodone side effects is developing an addiction to the substance. Abusing hydrocodone in any way other than was prescribed by a doctor increase the risk of developing a physical and psychological dependency on the substance. The risk of accidental overdose is significantly increased during a ‘cold turkey’ detox, as the person feels overwhelmingly strong cravings to take more of the drug. The person knows the horrible symptoms will stop with just one more dose, which can cause a relapse. If the person’s tolerance levels have been reduced throughout detox, the risk of taking too much and causing an accidental overdose is increased. If a person with a dependency on the drug tries to stop using suddenly, hydrocodone withdrawal symptoms can begin as quickly as a few hours after taking the last dose. Symptoms usually peak within 36 to 72 hours and begin to subside within a week. However, some people may experience extended hydrocodone side effects of withdrawal that can last for weeks or even months. 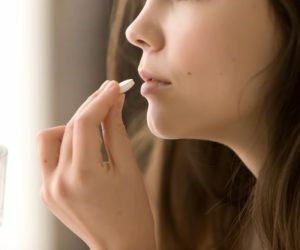 People with a severe dependency on the opioid painkiller medication may continue to experience symptoms of anxiety or depression, as well as strong cravings for some time. The alternative to trying to quit taking the medication by going ‘cold turkey’ is to seek professional help from an addiction rehab treatment facility. Specialists in a rehab center can provide specific treatment medications that help reduce the severity of any side effects of hydrocodone withdrawal that may emerge. The objective of medically-assisted detox is to replace the drug or addiction with treatment medications. Over a period of time, the dosage is carefully tapered down under medical supervision until the person is free from both drugs.